Neloms leads and has contributed to key initiatives for the College and Career Readiness and Success Center (CCRS Center) including: leading the Defining and Measuring High Quality Work-Based Learning Peer Network; guidance and facilitation on the integration of employability skills into career readiness efforts for state education agencies in Indiana, Georgia, and New York and for faculty and staff within the Washington State Board of Community and Technical Colleges; and lead developer in resources to build state and district capacity to support postsecondary success, including the online CCRS Organizer Scorecard, the Work-Based Learning Definitions: Themes from States and National Organizations resource, and the Work-Based Learning: Promoting a Well-Rounded Education for All Students webinar. As a contributor to AIR's network of disability-oriented researchers and technical assistance providers, Neloms has co-developed and conducted interviews for the Center on Knowledge Translation for Disability and Rehabilitation Research webcast series "Disability Research: Why It Matters." The series of interviews helps researchers improve their outreach to people with disabilities by better understanding the issues that affect access and use of research. Neloms has provided content knowledge and expertise to various projects at AIR including online college advisement professional development training for 100 Upward Bound projects and staff as part of an Institute for Education Sciences multi-year evaluation study to examine college application, enrollment and persistence rates of low-income, first generation to college students. In addition, she supports the State Support Network and AIR's National Reporting System Adult Education work as a quality assurance reviewer, professional learning tools developer, and workshop facilitator. 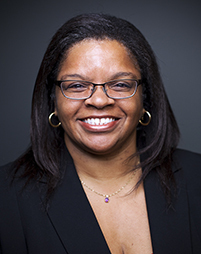 Prior to joining AIR, Neloms consulted to and worked for national and local organizations in topic areas that included education; health equity; childhood obesity; disabilities; human services; and youth, workforce, and leadership development. In addition, she has extensive experience in organizational capacity building; including strategic planning; professional development; strategic and collaborative partnerships; and resource, board, and program development.